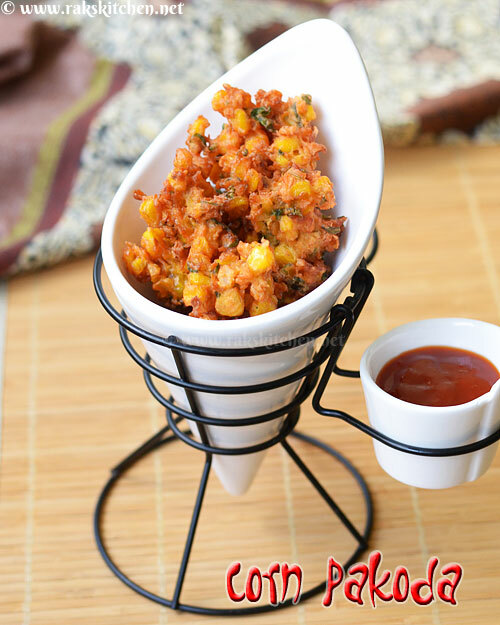 Corn pakoda recipe, perfect snack for tea, coffee time. Sweet corn pakoda recipe with full video, step by step pictures. Mint, fennel seeds and fresh ginger garlic paste makes it so flavourful that the whole house will be filled with the pakoda flavour lingering around. Harini Kumaras..